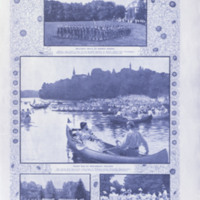 Newspaper clipping about the visit of Madame Chiang Kai-shek to the Wellesley College campus. Mdme. 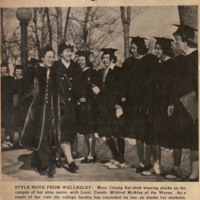 Chiang, the first lady of China, graduated from Wellesley in 1917. The caption notes that her donning of slacks during the visit prompted the school to lift the ban on slacks for their students. 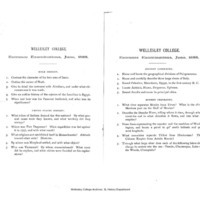 An early entrance examination from Wellesley College from June 1888.